The Eleventh Amendment is the first amendment to actually amend, or change, a part of the Constitution. It changes a portion of Article III that allows citizens to bring charges against states. 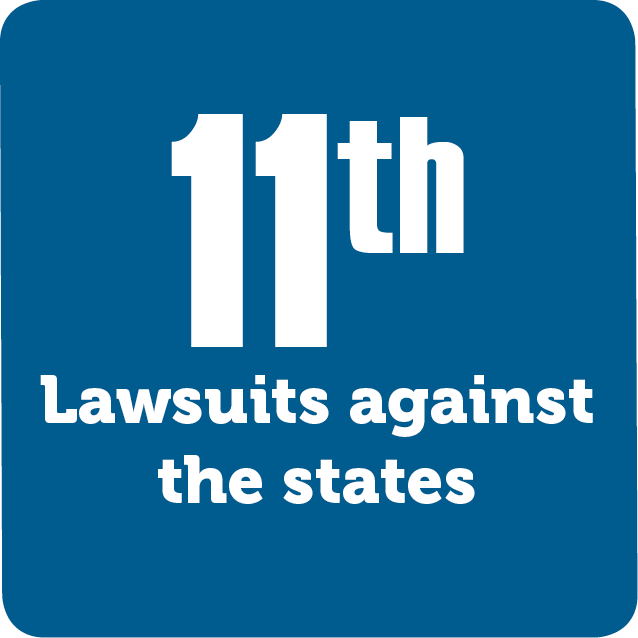 The Eleventh Amendment changes that text and protects states from lawsuits.